If you live in the Austin area and have been thinking about adding a new, four-legged member to your family, look no further than the “Pets and Pints!” event at Family Business Beer Company on January 19, 2019. The brewery is partnering with Austin Pets Alive for this event and invite you to bring your family out for a pint with the many puppies and kittens who are all looking for their forever homes. Adoptable pets will be on sight at the brewery from 1-6 p.m. The fundraising portion of the event will kick off Friday, January 18 and run through closing on Sunday, January 20. 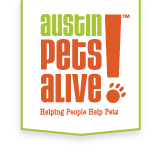 Customers may donate cash and/or pet foods to Austin Pets Alive anytime during the weekend. 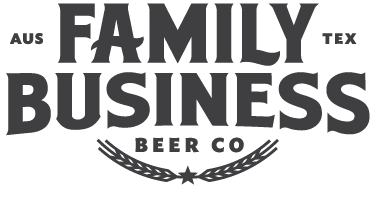 Additionally, Family Business Beer Company is donating $1 for every pint of Hamilton, The Fox, and King Biscuit sold throughout the weekend. Austin Pets Alive is a nonprofit organization that works to rescue those pets most at risk of not surviving shelters. Since its founding in 2008, Austin Pets Alive has saved over 18,000 dogs and 17,000 cats who would otherwise have stood only a 50% in-shelter survival rate. Thanks to their efforts, Austin is now at a 97.4% save rate, a great accomplishment for a large city. Make sure to stop by Family Business Beer Company in Dripping Springs on January 19, have a pint, and visit with the puppies and kittens that are sure to brighten your day. You never know, you might meet your new best friend. #SDCC: ‘Supernatural’ TV Guide Magazine Cover Released! Next story ‘Star Wars Resistance’ Mid-Season Trailer And More! Previous story One Year Later: Celebrating One Year of the Family Business Beer Company!